of Houzz.com that make us want to start popping some popcorn. Whether you’re an avid movie buff or a casual viewer, these home theaters are certain to add years of enjoyment to your home. 1. Seating. In a movie theater, it is essential for stadium seating and lounge chairs to recreate the intended effect. If you’re working on a budget, consider a few sectional sofas, armchairs and ottomans or even one sectional and high tables with bar stools for a food-friendly experience. 2. Equipment and Sound. Almost as important as the furnishings is the kind of equipment in the theater. At the higher end of the budget spectrum, a projector and screen adds the most theater-like ambiance to the space, but if the equipment quality is poor, it could leave you with a blurry or pixelated picture. A high-definition plasma or LED TV that is wall-mounted or on a stand will be a suitable alternative for great picture quality. For surround-sound, speakers should be located around the room, but a good sound bar and speakers next to the TV or projection screen is another way to go. 3. Refreshments. Lastly, refreshments can be elaborate or simple. For a true movie experience, a popcorn maker and concession stand are musts. Install a full home bar, complete with your barware and spirits of choice, along with glass snack cabinets and a soda fountain machine to rival any true movie theater. Or a microwave, mini fridge and candy drawer can stock the essential movie-time treats. Ever feel like the task of setting up a home stereo system is an impossible feat? Don’t miss out on the sound quality of a high-tech system just because its installation is more advanced. Gone are the days of getting tangled up in wires, fumbling through multiple remotes, and misplacing the right adapters. 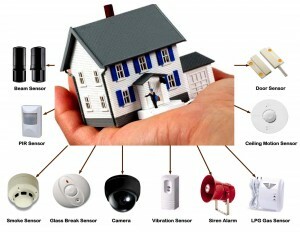 SafeT Systems equips your home without your lifting a finger except letting us in your front door. SONOS is the most up-to-date home sound system providing legendary sound quality with music lovers in mind. Their methodology is simple: Start with a speaker that defies all the rest, and end with a cordless, technology-friendly product that gives other home stereo systems a run for their money. With different models to fit every personality and lifestyle, SONOS makes your favorite music sound even better. And, if you change wireless channels in your home, setting up your system with the new Wi-Fi is as easy as accessing Wi-Fi on your smart phone. SafeT Systems is proud to be pairing with SONOS so that we can outfit your home with the best of the best. Don’t believe us? Here’s an article outlining the simplicity of a SONOS system. Here is another clip of SafeT System’s J.J. Surlas talking about the Vols! He even mentions SafeT Systems at the beginning. Visit our YouTube page and subscribe to our channel for more SafeT updates. Light. It seems so simple, but when it comes to creating a smart home, lighting has enormous potential. The lighting in your home can have an effect on your home’s security, your energy bill, and even your mood. Certainly, being able to turn the lights off to watch a movie without having to stand up would be really nice. However, we’re talking about more than just comfort. Good Morning: set a timer for your bedroom lights to slowly increase in brightness as you awaken. Good Night: all lights in the house are turned off, and porch lights are left on for security. Bed Time: another good night setting, but this one slowly dims the kids’ lights as they fall asleep. Nightlight: if you’re not comfortable with complete darkness, leave the bathroom light on, but dimmed. Romantic: simply dim the lights, or add a soft glow of color. Cooking: turns on all kitchen lights to full brightness. Cook-Out: turns on porch and walkway lights. Welcome Home: lights up the front porch and entry hall. On Vacation: lights are set to a random on-off pattern to make the house appears occupied. Emergency: all lights flash on and off until you disarm the panic mode. Energy Saver: sets a timer to make sure all lights are off once everyone leaves. Video Games: dims the lights in the living room or game room. You know your home and your habits. So, why not take control of your lighting? Infinite dimming and on-off possibilities could improve the quality and safety of your home. Let SafeT Systems install a lighting control system that is reasonably priced and will add character and value to your home. J.J. Surlas, a valuable asset to the SafeT Systems team and former UT football player, was featured on The Sports Source! The Sports Source is East Tennessee’s only year-round sportstalk show on television. J.J. is shown sitting on the far left discussing the toughest teammates he and the other featured players worked with at UT. J.J. Surlas has been SafeT Systems’ top salesman in the residential and small commercial division since day one. He has worked with SafeT Systems for almost 14 years, and he consistently proves that he is invaluable to the company. 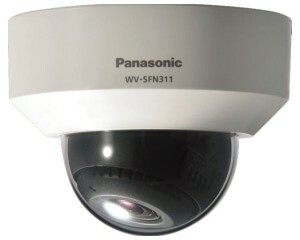 J.J. sells burglar alarm systems, monitoring, radio back-up systems, cameras and more. He also assists in scheduling the residential and small commercial division as well. As for J.J. Surlas’ history with the Vols football team, you could say he puts the Power T in SafeT! J.J. came to the University of Tennessee, Knoxville from Mt. Pleasant, PA on a football scholarship in 1988. He was a star defensive lineman and played in UT’s famous victory, Miracle at South Bend. J.J. was named one of four team captains his senior season in 1992. More recently, J.J. played in the annual Orange & White Game, and he scored a touchdown! J.J. is also a coach at Knoxville Catholic High School, where he has coached for years. Change can be intimidating, but change for the sake of security can never be a bad thing. Whether you own a family-run business or a larger scale organization, SafeT Systems can install a card system that will guarantee a higher level of safety for your facility. Traditional keys have numerous flaws in both security and ease of use. Large, bulky key rings are noisy and take up unnecessary space in your pocket, briefcase, or purse. If you forget which key matches which door, you’re stuck trying key after key until you get to the right one (which is, inevitably, the last one you try). Access to multiple rooms requires multiple keys, increasing your chances of leaving a key at home or losing a key. If a physical key is lost, stolen, or taken by an employee leaving your company, the key can easily be copied and used, jeopardizing your security. You have the option of changing the locks, but that process can be both time consuming and expensive. Card access systems eliminate all of the hassle and risk of traditional keys. One card is easy to keep up with, fits nicely into a name badge or wallet, and is less likely to be forgotten or lost. A card can allow access to multiple rooms, meaning no time is lost trying to find the right key. If a card happens to be lost, it has two security advantages over traditional keys: Cards are harder to copy than traditional keys, and they can be electronically deactivated within seconds. The flexibility that comes with card access is astonishing. If a technician or employee needs emergency or one-time access, a card can be activated and deactivated as needed. Perhaps the best security feature of card access systems is a full history log. In the unfortunate event of suspected theft or vandalism, the history log can be crucial to knowing who was in your facility and at what time. Let SafeT Systems install the versatile, secure, intuitive, and intelligent card access system you need to regulate and monitor your building access. Jeremy Scurlock loves his job as President of SafeT Systems. Part of that may be because of where he works: SafeT Systems is a family owned-and-operated business that his wife, Heather, and her father, Ray Evans, started 15 years ago in Knoxville offering residential and commercial security and fire alarm systems. More than that, however, Scurlock loves the nitty-gritty of what he does every day: equipping area homes and businesses with technologically smart features that make life safer, more convenient—and a lot more fun. “We all love it,” says Scurlock on behalf of the entire staff at SafeT. “We love putting together the equipment and getting a system right—so that sometimes the mechanics of the job seem more like play than work.” Whether the problem to be solved is technical, such as placing home-theater speakers in the optimum spots for the ultimate sound result, or aesthetic, such as blending those same speakers attractively with a home’s décor, SafeT Systems has the knowledgeable, experienced, and well-trained technicians to succeed. Audio and Visual (Home Theater): SafeT Multi-Room Music Systems use attractive components and simple-to-use controls to send streaming internet radio (Pandora, Spotify, Tune-In), radio, MP3, and even satellite- or cable-provided music throughout your entire home. The result is concert quality. By adding a visual component, customers can enjoy SafeT Media: Home theater that lets you lose yourself in your favorite movie in a venue of unparalleled comfort. A previously little-used space like your basement or bonus room can become your family’s favorite spot to relax. SafeT Systems installs premium sound equipment from top-of-the-line vendors like NuVo Whole Home Audio, Sonos Wireless Hifi, RBH, Destination Audio, NXG, and Pioneer, as well as Vutec screens. The result will fill your home with professional-quality sight and sound. Home Automation: A lighting-control system from SafeT lets you operate all your lights from anywhere in the house with a smart phone or tablet. Even from the comfort of your bed! With the press of a single button, the system’s software responds according to any of the countless pre-sets you have programmed into it, including on-off or specific dimming of every light. Universal Remote controls let you view the current climate of any room in your home and adjust it from wherever you are—even off the premises. Fire Alarm and Suppression: SafeT is the exclusive area dealer for Siemens Sinorix Clean Agent Suppression Systems and Siemens state-of-the-art fire-detection systems. Surveillance Cameras and Security Systems: SafeT installs high-end products from Honeywell, GE Alarm.Com, I3 International, Interlogix, Legrand, and Nuvico as components in its integrated surveillance, security, and access-control solutions. These smart systems are rich with rules-based features and customizations that can be monitored and operated from a cell phone anywhere in the world. Because of the quality of its work and devotion to customer service, SafeT enjoys long-standing relationships with clients of all sizes of budgets, both in the private and public sectors. “We work hand-in-hand with emergency services,” says Scurlock. “We make sure, for example, the fire department can get into a company like Holston Gases when an emergency occurs. We provide access-control systems to gated communities, day cares, and schools.” The company offers services to homes, businesses, and commercial locations, with customers as far away as Gatlinburg. Seek out a local installer with a proven track record and numerous testimonials from thrilled customers: SafeT Systems (865-693-0095). This article originally appeared in the Cityview Magazine’s 2014 Home Automation Guide. Digital media consumption has reshaped the entertainment market landscape in the past decade, but much of the recent growth has been in hand-held devices such as smart phones and tablet computers with tiny speakers and tiny screens. A recent IBM study estimated that mobile music and video usage quintupled between 2008 and 2010 alone. Ad Age reports that last year for the first time Americans spent more time using digital media than watching TV. Traditional home televisions and stereos cannot compete with the easy convenience of viewing a film or listening to an MP3 whenever and wherever the consumer has an idle moment, but neither are most movies or music really designed to be enjoyed on the go. A consumer who gives up the convenience of mobility and personalization of a hand-held to watch television on a regular TV or listen to music on a regular stereo in a poorly thought-out room mostly loses in the exchange. A richer system that hits the sweet spot of the movie theater or concert hall coupled with the convenience and ambiance of one’s own home, however, can offer consumers a best-of-both-worlds venue to watch movies, listen to music, or even play video games as they were intended: The user fully immersed in the experience. Hence, the growing popularity of home theater. Don’t be misled by the comparison, though: There’s more to the perfect home theater than buying a big-screen TV and attaching a bunch of nice speakers to it. We’ve all gone to movies in cheap, flimsy-feeling theaters and attended concerts in barely refurbished athletic arenas—and we know a high-quality audiovisual presentation requires more than big and loud equipment. A superior facility employs a well-thought-out design to maximize audio and video performance. Below are the major pieces that must come together before your new home theater will make you never want to leave the house. The primary function of the room where a home theater is located is to keep extraneous noise from leaking in and your system’s sound from leaking out. Ideally, you would like to have a low ceiling, solid doors, and thick walls with minimal windows. The room should be rectangular and the floor carpeted or covered by rugs: no concrete, bare hardwood, or tile. Any windows need to be covered with thick curtains. It should not be empty, as this will lead to sound echoing, but it should also not have any clutter that creates visual distractions. Because of the need to minimize exterior light while avoiding eyestrain from staring at the screen, you should install dimmer lights. The room’s shape and dimensions should facilitate correct speaker placement. Sound is the hardest part of a home theater to get right. You want uniform delivery to everyone in the room, so there’s no arguing about the volume control. Surround sound—not watching a 3-D movie on the biggest screen you can stuff in front of you—is what most creates the illusion of being inside your chosen entertainment experience. Fortunately, high-fidelity equipment typically comes with automatic speaker calibration to help adjust levels for less-than-perfect rooms that allow less-than-perfect speaker placement. You can also use “pink noise”—a test sound you can download from the Internet—to check speaker setup by turning it on and moving about the room to verify uniformity. When buying speakers, you can choose among either pre-matched systems or off-the-shelf components. In either case, you will want a center channel, two flanking speakers, two or more surround-sound speakers, and one or two subwoofers. If space is limited, you may opt instead for a soundbar, which allows some of the illusion of surround sound with a vastly smaller footprint. One choice here is between a projector and wall screen versus a big-screen TV. If you are thinking truly epic and you have enough room to support it, then a projector is the way to go. Although Samsung now makes a 110-inch screen television for more than $65,000, a first-rate projector capable of excellent resolution at the same size as the Samsung costs only around $4,000. Screens also have other advantages besides size, such as portability and reduced eyestrain, but a major disadvantage is having to keep the room dark while watching. The fan noise of some projectors can also be distracting. If your room is not so spacious, the lighting is hard to control, or you will be mostly watching lower-resolution video sources, then a flat-screen TV is likely the better choice. To determine the optimum size, figure roughly 10 inches of screen per foot of distance. So if you’re sitting five feet from the screen, the maximum size to consider for viewing is about a 50-inch diagonal. Plusher furniture absorbs more sound, which means better audio. Do not jam your chairs or sofas against the wall, as this position is detrimental to sound quality. Although you want comfortable furniture that provides plenty of back support, avoid high-backed chairs that can block the sound from speakers located behind you. Some furniture designed specifically for home theater comes with tactile transducers, or “bass shakers.” These devices turn low-frequency sounds into vibrations so that you actually feel deep noises such as explosions and thunder. 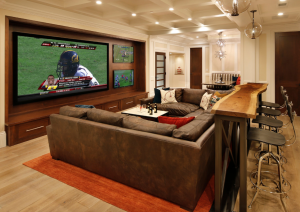 The other equipment in any home theater includes wiring, the remote control, and video and audio sources. Especially if you are integrating your home theater into a smart-home system, you should have the wiring installed by a professional who uses high-quality components. As a percentage of cost, wiring is one of the smallest expenses, so why cut corners, especially when the labor of having it redone will be much higher than the cost of the wire itself? In addition, a professional can make sure your wiring is fault-tolerant, safe, and flexible. In today’s smart home, the remote control will likely be your phone or your tablet, rather than a stand-alone device, because of the convenience and flexibility. Otherwise, you want a universal remote that is easy to operate by all family members. Video and audio sources like Blu-ray, DVD, cable, satellite, and videogame consoles will feed into a receiver that then sends the signals to the screen and speakers. Make sure the receiver you purchase has plenty of inputs and outputs for all the components you will be hooking up to it both now and in the future. The best equipment in the world will be wasted if it is set up and installed incorrectly. Remember that you have never done this before, whereas an experienced professional will have had hundreds of previous installs and knows how to do it right. Even something like one bad cable can unknowingly negate all the time and money you have expended to achieve the perfect aesthetic effect. A professional home-theater installer will take into consideration all aspects of the installation environment in advising you which components to buy and how to locate them. Although a real pro should know about everything from room lighting to maximizing space to smart and clean hiding of components, at a minimum you want someone with the acoustic expertise to customize and utilize your space for optimum sound. Additionally, a good installer will show you how to operate your equipment and be on call if problems develop after the project is completed, or you decide later to modify or augment it. In fact, a modular system that can easily be tweaked and upgraded later is another hallmark of a professional installation. To hire a professional local designer/installer with 15 years of proven experience, call SafeT Systems (865-693-0095). Once encountered only in movies featuring the lair of a James Bond-type villain or a heist from a super-secure museum, commercial video surveillance systems have become economical, common, and easy to use. Digital technology has replaced passive analog videotape so that these smart systems exhibit hitherto impossible programmed-response integration. They help protect a business from fire and liability while strengthening its security and give owners a flexible, granular, and robust means of managing access control. The National Fire Protection Association estimated that in 2012 the United States experienced almost half a million structural fires, causing about 2,500 deaths and 15,000 injuries. These fires resulted in $9.6 billion in property damage. Today’s fire monitoring and fire-suppression systems are linked to local fire, police, and other first-responder departments to minimize both loss of life and property. The systems use sensors located throughout a structure to detect a fire from the presence of heat, smoke, or carbon monoxide as soon as the fire starts. They then send a wireless or wired signal to an automated control system that can begin fighting the fire with a local water sprinkler or through chemical means and oxygen deprivation. Moreover, because the system is smart, it will at first activate suppression measures only in the area nearest the fire, reducing unnecessary damage via a focused response. The system will detect when the fire is extinguished and can shut off any activated response mechanisms accordingly. Meanwhile, it can notify the fire department and any other designated responders. Less than 20 years ago, the first networked camera could send only a low-resolution image at one frame per second over the Internet. Today, a confluence of improved technologies in video, audio, bandwidth, and security, along with economies of scale, is making high-resolution digital video both affordable and essential for commercial enterprises. These systems protect against obvious risks such as shoplifting and break-ins and constantly gather physical evidence in the event of litigation affecting the enterprise. Should a passerby, for example, claim that he or she has fallen in your store, surveillance video is available to verify or rebut the would-be litigant’s account. Modern video systems have image enhancement, greater storage capabilities for longer data retention, and more built-in intelligence that can respond to highly customizable and specific alerts—such as a person’s lingering too long in one area of a monitored room. In turn, the intelligence provides for user-customizable responses, from sending a high-resolution image to a designated cell phone to alerting police. Few contemporary businesses of any size rely on conventional locks and metal keys for access control because of a key’s limited flexibility, difficult change implementation, and lack of record-keeping. Card readers can integrate with other smart devices to operate gates and doors, as well as activate image recording and send alerts or alarms as needed. Moreover, modern control systems can passively track and record all building traffic and respond immediately to both individual and global access updates. For help installing or upgrading security systems in your enterprise, contact SafeT Systems (865-693-0095). This article originally appeared in the Cityview Magazine 2014 Home Automation Guide.